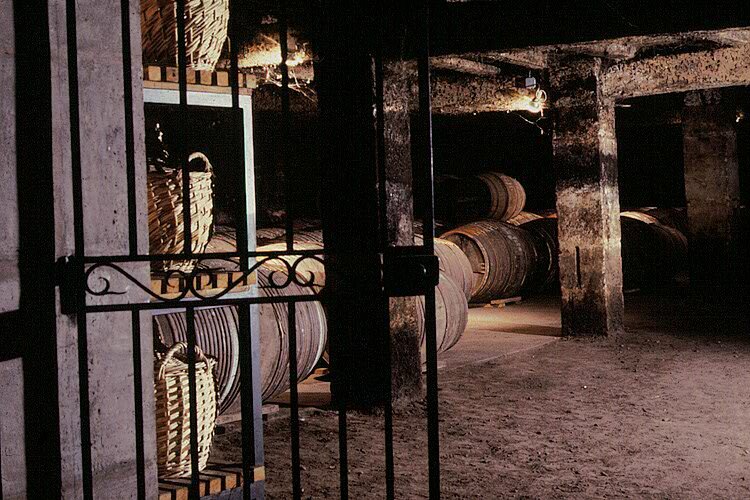 The oldest eaux-de-vie rest in a dark cellar called the “Paradis” – Paradise. Once an eau-de-vie has reached maturity, the Cellar Master – also known as Master Blender – determines to halt the ageing process. He/she transfers them to glass containers called demijohns, where they will rest protected from the air for many decades without developing further. Indeed, the ageing process no longer operates in glass. Left to age too long, the quality of the eau-de-vie could be compromised. It is the Cellar Master’s responsibility to decide when it is time to halt the ageing of an eau-de-vie, as each spirit has its own maturation characteristics (cru and ageing method). 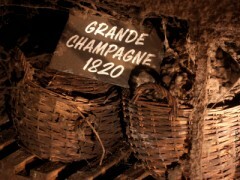 An eau-de-vie is considered at its apogee after about 50-60 years of ageing. 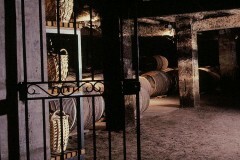 An eau-de-vie is considered at its apogee after about 50-60 years of ageing. However, eaux-de-vie that have been left much longer in oak casks (up to 100 years at times) can be used in very small quantity in blending to provide the special touch that makes the most prestigious Cognacs.